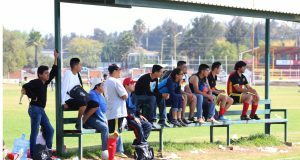 PROGRAMACION FEMENIL, INFANTIL Y MAYOR OFICIAL DE LA LIGA MUNICIPAL DE FUT-BOL AMATEUR MORELIA, A.C.
1 TIERRA CALIENTE / H.2.O FELIX CERDA LOZA 10 HRS. 2 OVIEDO / CRT DE MORELIA U.D.C. 21 10 HRS. 3 ALVARO OBREGON / UNIV. MICHOACANA ALVARO OBREGON 1 10 HRS. 4 INDEPENDIENTE / PANIFICADORA ESTRADA INDEPENDIENTE 10 HRS. 5 DVO LA PALMA / COLONIA GUADALUPE LA PALMA 10 HRS. 6 TECNOLOGICO / PALOS GARZA F.C TECNOLOGICO 1 10 HRS. 7 COCA COLA / SUEUM FURAMO 10 HRS. 8 OVIEDO / TIERRA CALIENTE U.D.C. 3 08 HRS. 9 SAN ISIDRO / GRUPO DE ORO FUERTE U.D.C. 34 10 HRS. 10 ATLETICO CUITZILLO / HALCONES UVAQ CUITZILLO 10 HRS. 11 INDEPENDIENTE / BRASIL U.D.C. 13 10 HRS. 12 DVO LOPEZ MATEOS / CHIVAS ALIANZA U.D.C. 23 10 HRS. 13 JALISCO / FILCORSA U.D.C. 2 10 HRS. 14 DVO RINCON / LA ALDEA LA ALDEA 10 HRS. 15 CENTRO SCT DE M. / DVO MADERO U.D.C. 18 10 HRS. 16 PANIFICADORA ESTRADA / DVO SAN MIGUEL U.D.C. 33 10 HRS. 17 PUEBLA / COLEC. RUTA GRIS A.C U.D.C. 36 10 HRS. 18 TIBURON / CAMERUN U.D.C. 32 10 HRS. 19 VASCO DE QUIROGA / JARDINES DEL RINCON U.D.C. 17 10 HRS. 20 COLONIA GUADALUPE / LA GOLETA LA GOLETA 10 HRS. 21 AYALA AUTOMOTRIZ / FILCORSA U.D.C. 32 12 HRS. 22 FELICITAS DEL RIO / ATENAS U.D.C. 22 08 HRS. 23 TAURO / ATLETICO ESPAÃ‘OL U.D.C. 1 08 HRS. 24 C.B.T.A 7 / DVO SANTIAGUITO C.B.T.A 7 10 HRS. 25 ATAPANEO / DVO EJIDAL 3 PUENTES ATAPANEO 1 10 HRS. 26 AZTLAN / AMERICA U.D.C. 13 08 HRS. 27 SEMACM / MORELIA DVO RETAJO-3 10 HRS. 28 TARIMBARO / NUEVO REFORMA U.D.C. 33 08 HRS. 29 MORELIA CEFAR / DVO GENERAL ANAYA U.D.C. 33 12 HRS. 30 UNIV. MICHOACANA / AGRUPAMIENTO TIGRES S.P TORREON NUEVO 10 HRS. 31 C.F.E-SUTERM / ZORROS U.D.C. 37 10 HRS. 32 RESINAS SINTETICAS / HALCONES DORADOS DE PALLADIUM RESINAS 10 HRS. 33 AGUILAS REALES / PREF. SAN FERNANDO U.D.C. 9 10 HRS. 34 S.T.A.S.P.E / LA ALDEA LA ALDEA 08 HRS. 35 FEISER / ARRIAGA RIVERA U.D.C. 4 10 HRS. 36 DVO E.DUR / MAGISTERIO U.D.C. 35 10 HRS. 37 CHIVAS ALIANZA / DVO VOLTA U.D.C. 10 10 HRS. 38 TIERRA CALIENTE / DVO AMATLAN U.D.C. 3 10 HRS. 39 DVO CLAVIJERO / DVO ZIMPANIO ZIMPANIO 08 HRS. 40 JESUS DEL MONTE / DVO ZAPATA UNIV. U.D.C. 25 10 HRS. 41 COCA COLA / SUEUM FURAMO 08 HRS. 42 RADIADORES CASTILLO / DVO TAPATIO U.D.C. 16 10 HRS. 43 DEPOR C.F / COUNTRY LAS HUERTAS U.D.C. 11 08 HRS. 44 MORELIA VALLADOLID F.C / RANCHO CAMILA U.D.C. 13 12 HRS. 45 DVO MADERO / HURACAN U.D.C. 39 10 HRS. 46 URUETARO / JALISCO U.D.C. 11 10 HRS. 47 CRT DE MORELIA / DVO CARRILLO U.D.C. 14 10 HRS. 48 HOGAR DESCUENTO / SAN ANTONIO U.D.C. 8 10 HRS. 49 DVO TRINCHERAS / TRES PUENTES U.D.C. 35 12 HRS. 50 MAGISTERIO / AGUILAS REALES U.D.C. 35 08 HRS. 51 FUTBOLMANIA / DVO VOLTA U.D.C. 18 12 HRS. 52 MORELIA VALLADOLID F.C / TECNOLOGICO TECNOLOGICO 1 08 HRS. 53 CARNICERIA BIBIAN / STA CECILIA U.D.C. 18 08 HRS. 54 TAURO / SITATYR U.D.C. 1 10 HRS. 55 CENTRO ORT. MARCOS / ZORROS U.D.C. 37 08 HRS. 56 FEISER / SAN ANTONIO U.D.C. 29 08 HRS. 57 DVO E.DUR / LOS OLIVOS F.C U.D.C. 24 12 HRS. 58 DVO TRINCHERAS / ARRIAGA RIVERA U.D.C. 4 08 HRS. 59 DVO SAN MIGUEL / DVO UNION F.C U.D.C. 22 10 HRS. 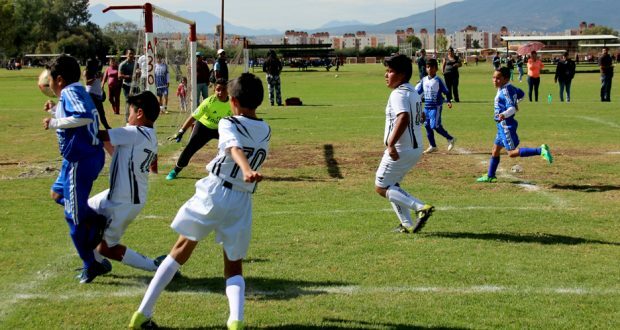 60 HALCONES DORADOS DE PALLADIUM / PUEBLA U.D.C. 9 08 HRS. 61 DVO SANTIAGUITO / OVIEDO U.D.C. 27 08 HRS. 62 REAL AZTECA / COLONIA GUADALUPE A. GARCIA L. 12 HRS. 63 ATLETICO ESPAÃ‘OL / DVO LA PALMA LA PALMA 12 HRS. 64 BUENA VISTA / TRES PUENTES BUENAVISTA 10 HRS. 65 PUMAS MORELIA / HUIRAMBA EL CARMEN HUIRAMBA 10 HRS. 66 RADIADORES CASTILLO / ANAG U.D.C. 23 08 HRS. 67 CRT DE MORELIA / UNIV. MICHOACANA U.D.C. 16 12 HRS. 68 EST. DE MORELOS / SUEUM U.D.C. 11 12 HRS. 69 LA ALDEA / DVO ZAPATA UNIV. U.D.C. 25 08 HRS. 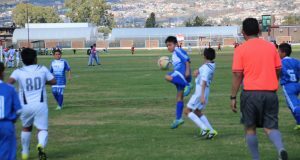 70 ESTUDIANTES F.C MORELIA / DVO GENESIS U.D.C. 17 12 HRS. 71 PALMEIRAS / VISTA BELLA U.D.C. 27 12 HRS. 72 SUTIC / JARDINES DEL RINCON U.D.C. 20 10 HRS. 73 CHIVAS ALIANZA / RESINAS SINTETICAS RESINAS 08 HRS. 74 COLONIA MIGUEL HIDALGO / PALOS GARZA F.C U.D.C. 19 10 HRS. 75 JALISCO / JESUS DEL MONTE U.D.C. 8 12 HRS. 76 DVO ZIMPANIO / MORELIA DVO U.D.C. 29 10 HRS. 77 DEPOR C.F / ATAPANEO ATAPANEO 2 10 HRS. 78 MACOMICH / INDEPENDIENTE U.D.C. 19 08 HRS. 79 ATLETICO VALLADOLID / RECTOR F.C U.D.C. 28 08 HRS. 80 SAN ISIDRO / COLONIA GUADALUPE U.D.C. 34 08 HRS. 81 DVO LOPEZ / S.T.I.R.T U.D.C. 26 08 HRS. 82 HOGAR DESCUENTO / SUEUM C.U. PRINCIPAL 10 HRS. 83 OVIEDO / ORIZABA U.D.C. 8 08 HRS. 84 ARRIAGA RIVERA / DVO CLAVIJERO U.D.C. 17 08 HRS. 85 MAGISTERIO / PALOS GARZA F.C U.D.C. 5 08 HRS. 86 LOS AMIGOS S.T.I.R.T / DVO VIVERO U.D.C. 5 12 HRS. 87 18 DE MAYO / CENTRO ORT. MARCOS U.D.C. 4 12 HRS. 88 DVO COLEZA / DVO CARBAJAL U.D.C. 39 14 HRS. 89 DVO SANTIAGUITO / ATLETICO ESPAÃ‘OL U.D.C. 12 10 HRS. 90 TAURO / DVO UNION F.C U.D.C. 22 12 HRS. 91 STA MARIA / LA ALDEA U.D.C. 24 08 HRS. 92 JALISCO / ATAPANEO U.D.C. 2 08 HRS. 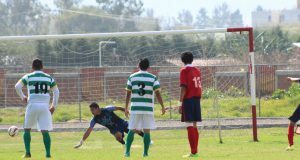 93 DVO AMATLAN / ATLETICO CUITZILLO U.D.C. 9 12 HRS. 94 SITATYR / DVO COLINAS U.D.C. 39 12 HRS. 95 SEMACM / DVO TORINO U.D.C. 3 12 HRS. 96 RADIADORES CASTILLO / HALCONES DE SAN JOSE U.D.C. 1 12 HRS. 97 DVO ZAPATA UNIV. / RECTOR F.C U.D.C. 28 12 HRS. 98 DVO GENERAL ANAYA / VISTA BELLA U.D.C. 15 JOSE CALDERON 08 HRS. 99 REAL AMBIENTAL MICH / STA CECILIA U.D.C. 39 08 HRS. 100 CHELSEA F.C / JESUS DEL MONTE JESUS DEL MONTE 10 HRS. 101 BRASIL / ZORROS U.D.C. 19 12 HRS. 102 SUTIC / DVO RIO GRANDE U.D.C. 20 12 HRS. 103 DVO RINCON / DVO VOLTA U.D.C. 10 08 HRS. 104 DVO GENESIS / AGRUPAMIENTO TIGRES S.P TORREON NUEVO 08 HRS. 105 FEISER / MUEBLES DEL ANGEL U.D.C. 29 12 HRS. 106 ATLETICO VALLADOLID / DVO XANGARI F.C U.D.C. 10 12 HRS. 107 CECYTEM / CRT DE MORELIA U.D.C. 21 12 HRS. 108 SECCION XX1 SNTSA / PREF. SAN FERNANDO U.D.C. 5 10 HRS. 109 COLEGIO BACHILLERES / DVO RIO GRANDE U.D.C. 36 12 HRS. 110 JALISCO / ATRAV U.D.C. 2 12 HRS. 111 PANIFICADORA ESTRADA / LA ALDEA U.D.C. 14 08 HRS. 112 ATLETICO ESPAÃ‘OL / SUTIC U.D.C. 12 08 HRS. 113 S.T.I.R.T / TIBURON U.D.C. 34 12 HRS. 114 CRUZ AZUL / DVO CLAVIJERO U.D.C. 14 12 HRS. 115 AZTLAN / MORELIA CEFAR U.D.C. 20 08 HRS. 116 ATENAS / MORELIA VALLADOLID F.C U.D.C. 37 12 HRS. 117 HALCONES DE SAN JOSE / REAL SAN LUIS U.D.C. 23 12 HRS. 118 CAMERUN / DVO LA PALMA FELIX CERDA LOZA 08 HRS. 119 DVO LOPEZ / VISTA BELLA U.D.C. 26 10 HRS. 120 FEISER / DVO TAPATIO U.D.C. 16 08 HRS. 121 ATAPANEO / ZORROS U.D.C. 24 10 HRS. 122 DVO EJIDAL 3 PUENTES / CECYTEM U.D.C. 36 08 HRS. 123 DVO OLIMPICO / COLONIA GUADALUPE A. GARCIA L. 08 HRS. 124 DVO SANTIAGUITO / TAURO U.D.C. 28 10 HRS. 125 DVO UNION F.C / PUEBLA U.D.C. 27 10 HRS. 126 STA MARIA / DVO TRINCHERAS U.D.C. 15 JOSE CALDERON 12 HRS. 127 SUEUM / SUTIC U.D.C. 20 16 HRS. 128 CRT DE MORELIA / UNIV. MICHOACANA U.D.C. 21 08 HRS. 129 DVO GENESIS / RESINAS SINTETICAS RESINAS 12 HRS. 130 PREFECO BRASIL / COLONIA GUADALUPE A. GARCIA L. 10 HRS. 131 CHIVAS ALIANZA / REAL AMBIENTAL MICH U.D.C. 32 08 HRS. 132 ATLETICO ESPAÃ‘OL / TIERRA CALIENTE U.D.C. 12 12 HRS. 133 ALVARO OBREGON / DVO ZAPATA UNIV. ALVARO OBREGON 1 12 HRS. 134 C.F.E-SUTERM / RANCHO CAMILA U.D.C. 25 12 HRS. 135 FELICITAS DEL RIO / TAURO FELIX CERDA LOZA 12 HRS. 136 ORIZABA / DVO RIO GRANDE U.D.C. 33 14 HRS. 137 RADIADORES CASTILLO / EL GRAN TACO U.D.C. 3 16 HRS. 138 DVO ZAPATA UNIV. / HALCONES UVAQ LA VIOLETA B 14 HRS. 139 NUEVO REFORMA / S.T.A.S.P.E U.D.C. 28 14 HRS. 140 FILCORSA / JARDINES DEL RINCON U.D.C. 29 14 HRS. 141 COLEC. RUTA GRIS A.C / ARRIAGA RIVERA U.D.C. 19 16 HRS. 142 SUEUM / REAL SAN LUIS U.D.C. 37 14 HRS. 143 CARNICERIA BIBIAN / PRESISION U.D.C. 5 14 HRS. 144 FUTBOLMANIA / AYUDANTIA F.C U.D.C. 8 14 HRS. 145 TAURO / ATLETICO ESPAÃ‘OL U.D.C. 1 16 HRS. 146 REAL PORVENIR / TRES PUENTES U.D.C. 23 16 HRS. 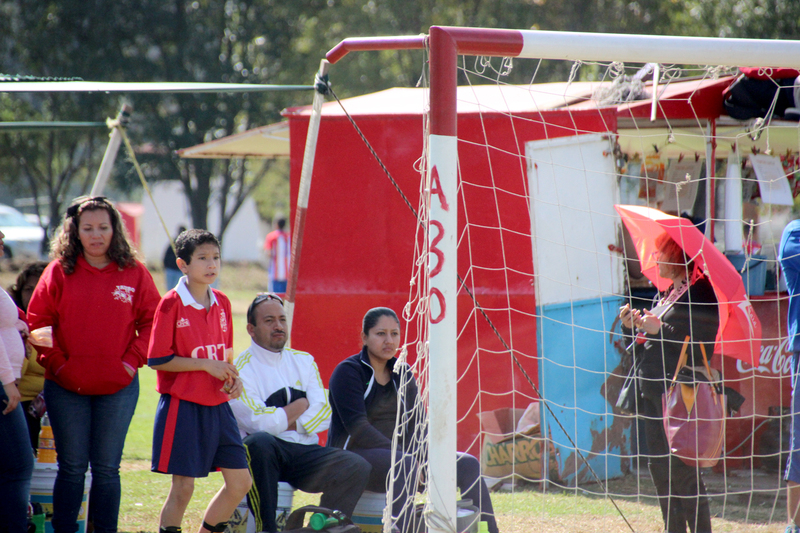 147 PUMAS MORELIA / AZTLAN U.D.C. 22 14 HRS. 148 DVO OLIMPICO / GRUPO DE ORO FUERTE U.D.C. 39 16 HRS. 149 SUTIC / S.T.I.R.T U.D.C. 29 16 HRS. 150 DVO CARBAJAL / RECTOR F.C U.D.C. 20 14 HRS. 151 DVO LOPEZ / DVO MADERO U.D.C. 22 16 HRS. 152 DVO EJIDAL 3 PUENTES / LOS AMIGOS S.T.I.R.T U.D.C. 35 16 HRS. 153 ARRIAGA RIVERA / SUEUM C.U PRINCIPAL 16 HRS. 154 CRT DE MORELIA / DVO ACUITZIO U.D.C. 34 16 HRS. 155 FUTBOLMANIA / SUEUM C.U. PRINCIPAL 14 HRS. 156 SUTIC / HOGAR DESCUENTO U.D.C. 8 16 HRS. 157 GRUPO DE ORO FUERTE / COLONIA GUADALUPE A. GARCIA L. 16 HRS. 158 JALISCO / REAL AZTECA FELIX CERDA LOZA 16 HRS. 159 FELICITAS DEL RIO / VASCO DE QUIROGA U.D.C. 33 16 HRS. 160 ATLETICO ESPAÃ‘OL / CRT DE MORELIA U.D.C. 20 16 HRS. 161 LA ALDEA / F.C.A ZACARI U.D.C. 13 16 HRS. 162 REAL PORVENIR / BUENA VISTA BUENAVISTA 16 HRS. 163 PALMEIRAS / COLEGIO BACHILLERES TECNICA 13 LA HUERTA 14 HRS. 164 CECYTEM / DVO UNION F.C EST. DE MORELOS 14 HRS. 165 FILCORSA / COLEC. RUTA GRIS A.C U.D.C. 37 16 HRS. 166 DVO ZIMPANIO / OVIEDO ZIMPANIO 16 HRS. 167 COCA COLA / HUIRAMBA HUIRAMBA 14 HRS. 168 MAGISTERIO / ARRIAGA RIVERA U.D.C. 15 JOSE CALDERON 16 HRS. 169 DVO VIVERO / SEMACM RETAJO-3 14 HRS. 170 TAURO / NUEVO REFORMA U.D.C. 15 JOSE CALDERON 14 HRS. 171 S.T.A.S.P.E / C.B.T.A 7 C.B.T.A 7 16 HRS. 172 CAMERUN / CURT. DE TEREMENDO TECNICA 13 LA HUERTA 16 HRS. 173 STA CECILIA / AZTLAN U.D.C. 9 14 HRS. 174 CRT DE MORELIA / DVO SAN MIGUEL U.D.C. 21 16 HRS. 175 CECYTEM / VASCO DE QUIROGA U.D.C. 27 14 HRS. 176 JESUS DEL MONTE / DVO EJIDAL 3 PUENTES U.D.C. 5 16 HRS. 177 OVIEDO / TARIMBARO TARIMBARO 1 14 HRS. 178 DVO S.T.A.S.P.E / NUEVO REFORMA U.D.C. 4 16 HRS. 179 JALISCO / EST. DE MORELOS U.D.C. 2 16 HRS. 180 FELICITAS DEL RIO / TAURO U.D.C. 17 14 HRS. 181 SITATYR / PUMAS MORELIA U.D.C. 25 14 HRS. 182 COUNTRY LAS HUERTAS / COLONIA GUADALUPE A. GARCIA L. 14 HRS. 183 DVO FOVISSSTE MORL. / CRUZ AZUL U.D.C. 32 16 HRS. 184 GUADALAJARA / REAL AZTECA U.D.C. 27 16 HRS. 185 ANAG / CENTRO SCT DE M. U.D.C. 18 16 HRS. 186 DON BOSCO / EL GRAN TACO U.D.C. 35 14 HRS. 187 PUEBLA / DVO RINCON U.D.C. 10 16 HRS. 188 TECNOLOGICO / PALMEIRAS TECNOLOGICO 1 16 HRS. 189 SEMACM / SECCION XX1 SNTSA FELIX CERDA LOZA 14 HRS. 190 AGUILAS REALES / FELICITAS DEL RIO U.D.C. 24 16 HRS. 191 GUADALAJARA / SECCION XX1 SNTSA U.D.C. 16 16 HRS. 192 ATAPANEO / VISTA BELLA ATAPANEO 1 14 HRS. 193 ASTURIAS / S.T.A.S.P.E U.D.C. 14 16 HRS. 194 LOS AMIGOS S.T.I.R.T / DVO COLEZA COLEZA 16 HRS. 195 ATLETICO / SUEUM U.D.C. 11 14 HRS. 196 OVIEDO / TRES PUENTES U.D.C. 14 14 HRS. 197 CRT DE MORELIA / DVO ACUITZIO U.D.C. 21 14 HRS. 198 COLONIA GUADALUPE / ATLETICO ESPAÃ‘OL U.D.C. 12 16 HRS. 199 SITATYR / DVO RINCON U.D.C. 13 14 HRS. 200 DVO FOVISSSTE MORL. / REAL PORVENIR U.D.C. 32 14 HRS. 201 RESINAS SINTETICAS / PRESISION U.D.C. 17 16 HRS. 202 LAGUNA / DVO RIO GRANDE U.D.C. 26 14 HRS. 203 COUNTRY LAS HUERTAS / DON BOSCO U.D.C. 19 14 HRS. 204 GUADALAJARA / ALVARO OBREGON ALVARO OBREGON 1 16 HRS. 205 COUNTRY LAS HUERTAS / RECTOR F.C U.D.C. 3 14 HRS. 206 DVO E.DUR / RESINAS SINTETICAS RESINAS 14 HRS. 207 OVIEDO / DVO RINCON U.D.C. 10 14 HRS. 208 COLEC. RUTA GRIS A.C / LA VENADITA U.D.C. 36 14 HRS. 209 PREF. SAN FERNANDO / CENTRO SCT DE M. U.D.C. 18 14 HRS. 210 ATLETICO / CRT DE MORELIA U.D.C. 11 16 HRS. 211 DVO CARRILLO / MONTERREY U.D.C. 25 16 HRS. 212 ABARROTES LA VIOLETA / AMERICA LA VIOLETA 16 HRS. 213 BRASIL / ATLETICO ESPAÃ‘OL U.D.C. 12 14 HRS. 214 DVO COLEZA / C.B.T.A 7 COLEZA 14 HRS. 215 DVO OLIMPICO / HALCONES DE SAN JOSE U.D.C. 9 16 HRS. 216 AGUILAS REALES / LAGUNA U.D.C. 28 16 HRS. 217 PALMEIRAS / COLONIA GUADALUPE U.D.C. 24 14 HRS. 218 TARIMBARO / REAL SAN LUIS TARIMBARO 1 16 HRS. 219 DVO ITZICUARO / DVO S.T.A.S.P.E U.D.C. 4 14 HRS. 220 TAURO / ATLETICO VALLADOLID U.D.C. 1 14 HRS. 221 ALVARO OBREGON / ATLETICO ALVARO OBREGON 1 14 HRS. 222 ATLETICO ESPAÃ‘OL / JALISCO U.D.C. 2 14 HRS. 223 LAGUNA / REAL SAN LUIS U.D.C. 36 16 HRS. 224 LA VENADITA / COLONIA GUADALUPE U.D.C. 26 16 HRS. 225 DVO S.T.A.S.P.E / TECNOLOGICO TECNOLOGICO 1 14 HRS. 226 DVO OLIMPICO / ATAPANEO ATAPANEO 1 16 HRS. 227 FELICITAS DEL RIO / OVIEDO U.D.C. 16 14 HRS. 228 ORIZABA / ANAG U.D.C. 39 14 HRS. 229 LA ALDEA / SAN PIO X LA ALDEA 16 HRS. 230 REAL METROPOLITANO / MONTERREY U.D.C. 23 14 HRS. 231 DVO TORINO / DVO ZAPATA UNIV. U.D.C. 34 14 HRS. 232 ATAPANEO / SUTIC ATAPANEO 2 14 HRS. 233 COLONIA GUADALUPE / ABARROTES LA VIOLETA LA VIOLETA B 16 HRS.